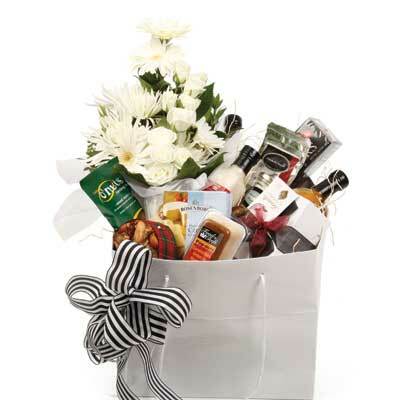 Send a custom made unique gourmet gift basket for an anniversary or as a thank you to a corporate partner. 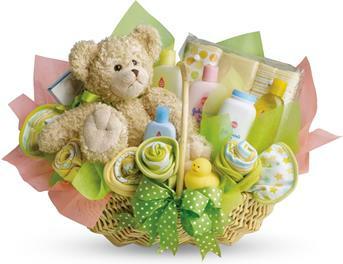 Gift baskets make great "get well soon" gifts full of treats to help them feel great. 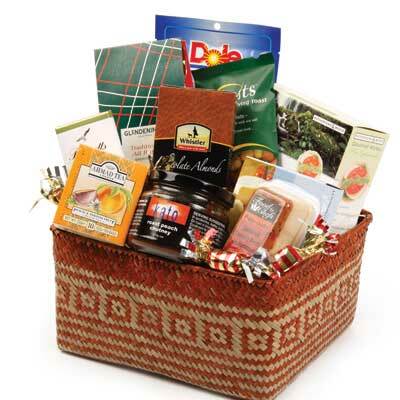 Sometimes called Hampers; they can be filled with local and seasonal treats and represent great value as online gifts. 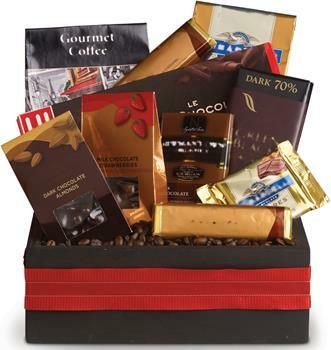 Here is a tasteful gift for any occasion. 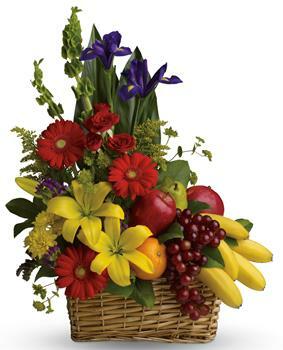 Fruit and a flowering plant, what could be better than that? 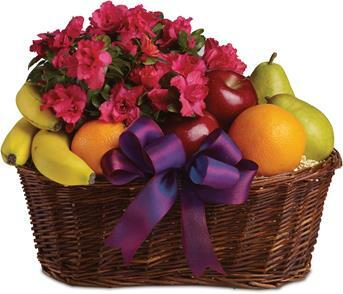 If we had to sum up this luxurious basket in one word, there is no question the word is WOW! 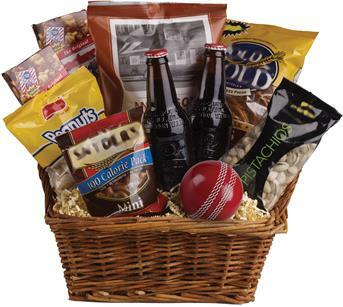 Peanuts, pistachios, pretzels, beer and even a cricket ball are teamed up in this nibbles basket. The perfect gift for the male in your family! Celebrate football with a favourite friend, family or colleague. 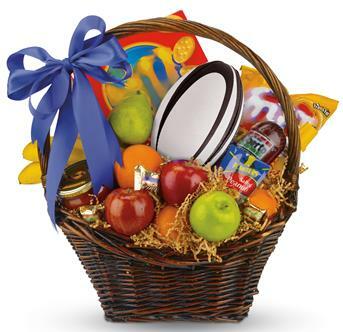 Send a basket of game-time munchies, including fresh fruit, nuts, salami, salsa, and much more...plus a real football! 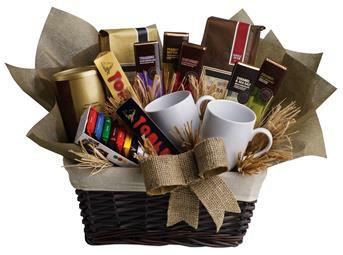 When you want to send your thoughts in a grande way, send this basket filled with chocolate, tea and coffee. Nothing is grander. 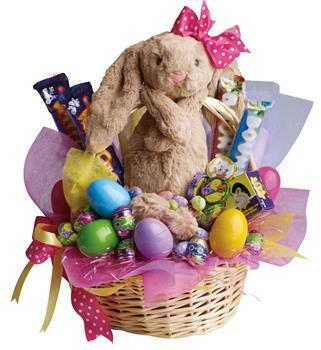 Be the Easter Bunny for someone special with this Easter basket full of chocolates and plush toy. An ideal gift for family and friends. 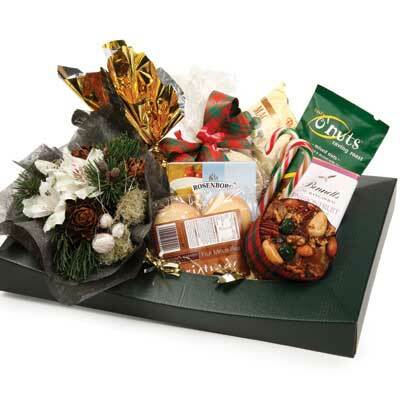 A selection of gourmet treats to satisfy the tastebuds. 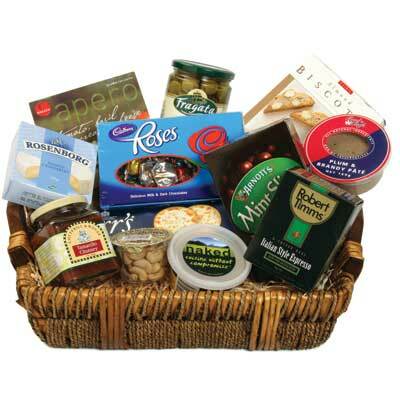 Filled with yummy sweet and savoury goodies, a great gift for family and friends. An ideal gift to indulge that special someone. 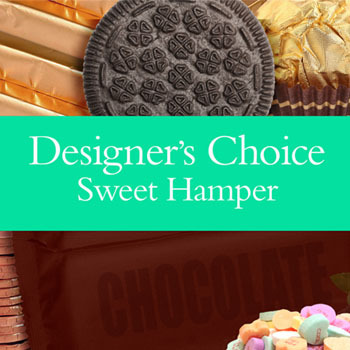 Our designers choice of yummy sweet treats to make up a one of a kind Hamper. 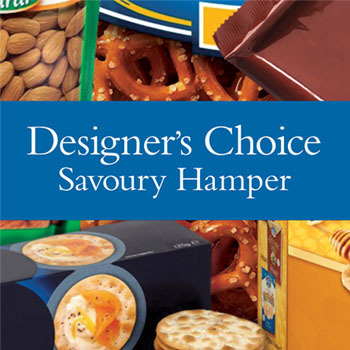 Our designers choice of yummy savoury treats to make up a one of a kind Hamper.